Christine Rainey, 84, of East Providence, died at Rhode Island Hospital on Tuesday, April 10th. 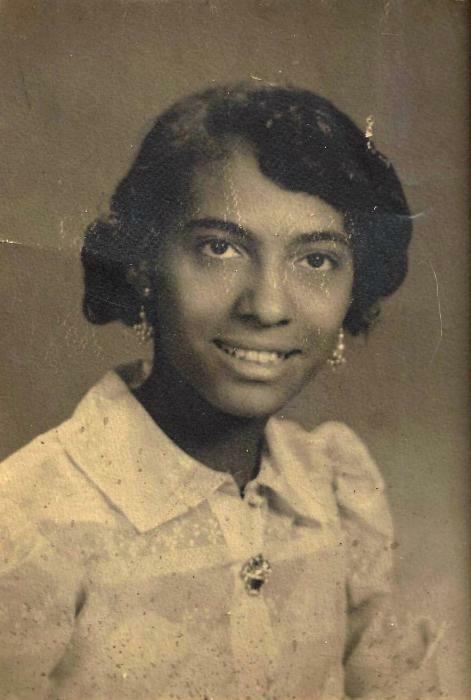 She was a devoted wife to the late Herman Russell Rainey Sr.
Born in Shelby, North Carolina, she was the daughter of the late Charles Degree and Dairy Haynes. She was raised by late Rev. Joseph Haynes and Mother Mandaine Haynes. Christine worked as a Foster Grandparent Advocate at the Fox Point Daycare Center in Providence. She leaves to mourn four sons, Charles McArthur Rainey and John Rufus Rainey, both of East Providence, Herman Russell Rainey Jr. of Pawtucket and Christopher Rainey of Fall River, MA, two daughters; Mariam Lewis and Patricia Ann Rainey, both of Providence, three brothers, Nathan Haynes of North Providence, and James Froneyberger and Michael Froneyberger, both of High Point, NC, two sisters, Francine Froneyberger and Etta Goodwin, both of High Point, NC, 9 grandchildren, 19 great, grandchildren, and 1 great, great, grandchild. She was predeceased by her daughter, Sheila Marie Rainey, and brother, John Wesley Froneyberger.